If you are trying to generate Leitcode on common image file formats, like PNG, GIF, BMP and JPEG; if you want to insert Leitcode barcode on common document files, like TIFF, PDF, Word, Excel and PowerPoint, then this C#.NET Barcode Creator Add-on of RasterEdge DocImage SDK for .NET will be a great choice for you. Using this Leitcode generating control, you are able to insert Leitcode barcode at any prescribed area or page of the supported image and document files. Particular benefits on drawing Leitcode barcode in C#.NET project. You can easily generator Leitcode barcode and save it to image files/object using this C#.NET barcode generator control. 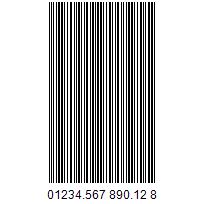 The following steps will show how to create a Leitcode type barcode encoding numeric data text "0123456789012" into the image object with XImage.Barcode.Creator. Please copy the sample code as follow to generator a Leitcode barcode. Using this Barcode Creator Add-on for C#.NET, developers and end users can easily integrate Leitcode barcode generating functions into your C#.NET image processing and managing application. The supported image types include PNG, GIF, BMP, and JPEG. What's more, we provide full barcode generating methods to customize Leitcode barcode and adjust the location of barcode on image. This C#.NET barcode generator component can help you insert a Leitcode barcode on certain page of a document file like PDF, TIFF, Word, Excel and PowerPoint. Besides, with the application of location X and Y, this .NET barcode generator component can also help you specify the area where the Leitcode will be generated. Following C# code illustrates how to generate a customized Leitcode on a PNG image file in .NET applications. Other supporting raster image formats are BMP, JPEG and GIF.